It has been more than two generations since the presidency transitioned with American troops engaged in significant combat operations—a deployment begun in the aftermath of the September 11, 2001 attacks. Beyond the current military engagements in Iraq and Afghanistan, the nation faces other equally important national security challenges. These include nuclear proliferation, the potential for other regional conflicts into which we could be drawn, and the spread of militarily relevant technology even beyond nation-states. The incoming leadership must be prepared to deal with the most pressing issues facing the Department of Defense today. The pressing issues described herein are daunting and may seem all-inclusive, but they are only a fraction of the defense challenges facing the new administration. 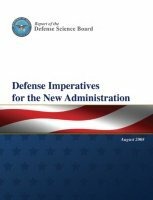 This report describes just those issues that the next Secretary of Defense should place at the top of the agenda—issues that will require the attention of the Commander-in-Chief, and, if left unresolved, could lead to future military failure. 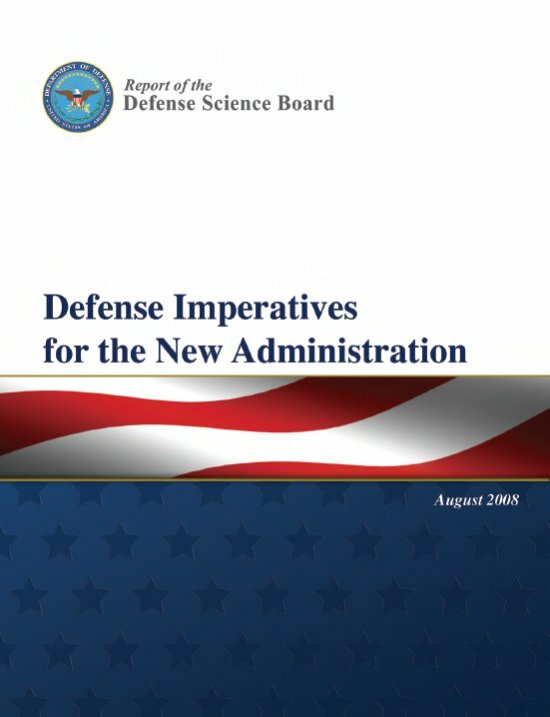 This report offers recommendations drawn from reports prepared by the Defense Science Board, an advisory body to the Secretary of Defense, which address topics at the confluence of technology, policy, and management.